The quality and comfort of Pillow Paws Terries Slipper Socks makes them the most wearable patient footwear products in the industry. Unlike other manufacturers, all of our slippers are imprinted with a plastisol ink which creates the slip resistant tread. The imprint is applied to the smooth side of the terrycloth fabric, allowing the ink to “puff” and create a full, robust tread design. The ink is not lost in the terry loops, enhancing safety and comfort. 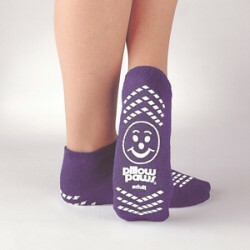 All Pillow Paws Terries Slipper Socks are machine washable for multiple usages. Original foam slippers are made of soft, light-weight, nonskid foam. 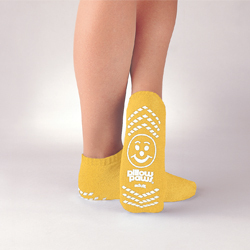 These slippers help maintain hygienic protection, are inexpensive and ideal for one-time use. 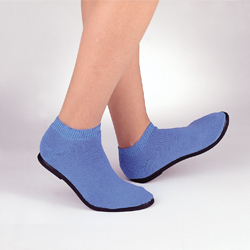 Hard Sole Slippers have a flexible, slip-resistant sole bonded to a soft, breathable, terrycloth upper. The durable rubber sole is waterproof and resists piercing. 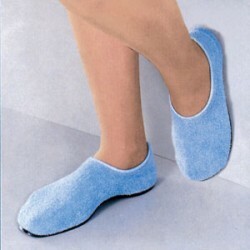 Hard Sole Slippers are an excellent choice for long-term care. 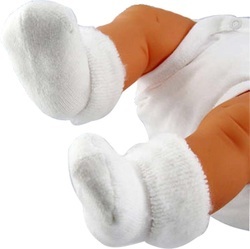 Cuddle Paws® Newborn Booties are made of “snuggly soft” terrycloth fleece, which helps keep newborns’ feet and ankles warm, keeping essential heat in. The folded cuff provides a comfortable non-constrictive fit. Cuddle Paws Booties are available with tread or without, and are machine washable for multiple usages. Pillow Paws standardized, Risk Alert® color-coded patient footwear follows and endorses the “Arizona Standard.” This important initiative pairs medical conditions to color codes, and promotes the identification of patients with special needs. Eliminate confusion among staff members, by adopting the suggested “Arizona Standard” color-coding system: Yellow for fall alert, Purple for DNR and Red for allergy alert. Our Pillow Paws Risk Alert® Terries Slipper Socks follows the “Arizona Standard” for color-coding patients to condition. The color red alerts caregivers to consult the patient’s chart for information relating to an allergic condition. Our red slippers come in a wide range of sizes in both single and double imprint. A patient wearing yellow socks has been coded as a fall risk. The patient may need assistance when walking or moving around in a facility or at home. Many times patients become weakened after treatment or surgery and the chances of falling may be greater. The color purple informs caregivers the patient has made an end of life arrangements. It is important for caregiver to check the patient’s chart and adhere to the patients wishes. A patient wearing purple slipper socks have been coded as do not resuscitate. Stirrup-Mates™ Terry Knit OB/GYN Stirrup Covers keep patients comfortable and warm with the soft terry knit material and fit most exam tables. Stirrup-Mates Terry Covers provide a nonslip surface keeping patients safe and are latex free. 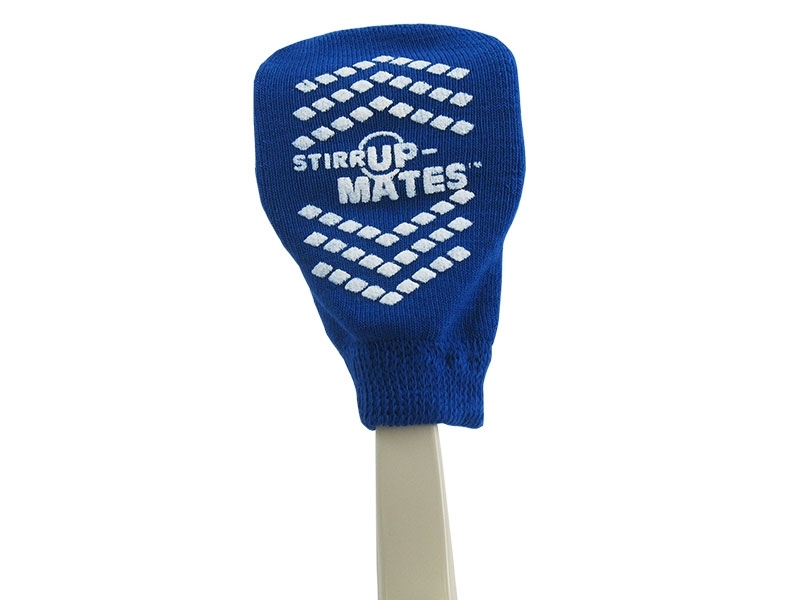 Our Stirrup-Mates Terry Knit Stirrup Covers are available in royal blue with white tread and are machine washable for multiple usages and inexpensive for one time usage. Stirrup-Mates™ Foam OB/GYN Stirrup Covers keep patients comfortable and warm with the soft foam material and fits most exam tables. 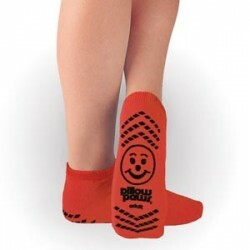 Stirrup-Mates foam covers provide a nonslip surface keeping patients safe and are latex free. 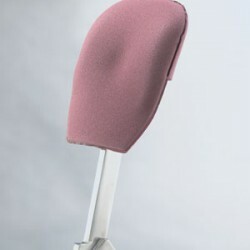 Our Stirrup-Mates Foam Stirrup Covers are available in mauve and are disposable for hygienic protection. If you would like additional information on Pillow Paws products, please use our Contact Form.